Without our dedicated staff, Board and volunteers, Cufa wouldn’t be able to deliver our inspiring and effective projects that create infinite value alleviating poverty across the Asia-Pacific region. GPO Box 1016, Sydney NSW 2001. Cufa Training Centre #33, St. 420, Sangkat Beong Trobek, Phnom Penh. No. (13), 6th fl, U San Nyunt Street Near Padonmar Stadium, Sanchaung Township, Yangon. Rural Office No.125, Pyay Road, Tarkwa Village, Taik Kyi Township, Yangon, Myanmar. Cufa’s board is responsible for the strategic direction and performance of the organisation. Margot was appointed as Chair of Cufa on 14 September 2010. She has worked extensively in both the commercial and public sectors, in a variety of fields including construction, computing, accounting, financial management and taxation. She became CEO of Summerland Credit Union in 1999. 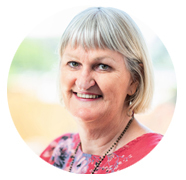 Margot is an active corporate citizen in the Northern Rivers of NSW and has participated in various regional development organisations and advisory groups over the past two decades. David joined Cufa as a Director on 7th of December 2017. 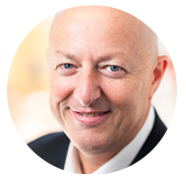 David has held several senior positions at large corporates including Chief Information Officer at Teachers Mutual Bank and Program Director roles within both Operations and Risk Divisions for the Westpac Group and Asia/Pacific oversight and accountabilities as Head of Consumer Technologies APA at American Express. Peter was appointed a Director of Cufa on 26 April 2013. Peter is a former Ernst & Young Tax and Business Advisory Partner. He was awarded The Centenary of Federation Medal in the General List by the Governor-General in 2001 for contribution to accounting Made a Member of the Order of Australia (AM) in the General Division on Australia Day 2007 for service to accountancy and the community. He is currently also a Director of Metro South. Colette joined Cufa’s board in August 2018. With over 20 years’ experience in leading NGO’s both in Australia and internationally, Colette brings a unique synthesis of effective and respectful leadership skills and practical experience gained through roles as the Laos-based Country Director for a global NGO, CEO of an Indigenous financial inclusion foundation, and strategic public-private partnership manager. 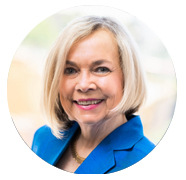 Colette has extensive knowledge and expertise in female-centred economic development programs, microfinance and financial inclusion and is a highly skilled fundraiser and strategic stakeholder management advisor. Andrew joined Cufa’s board on 5 December 2018. Andrew is currently the Chief Financial Officer of an AIM gold producing company. He has previously held roles as a COO and CFO which have given him over 20 years of experience across both public, private and not-for-profit industries. His previous positions have provided experience in a variety of fields from health and education to mining and gas. 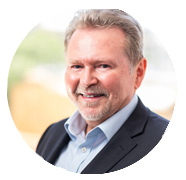 Some of Andrew’s successes as part of a board include promoting diversity, cultural awareness and providing practical and commercial insights and advice. Greg joined Cufa’s board on 5 December 2018. 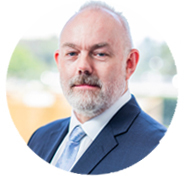 Greg is joining Cufa’s board as the current Chief Executive Officer of Australia’s largest cybersecurity membership organisation. He has experience as an accounts clerk, railway shunter, teacher, lecturer, CEO of a professional theatre and ballet company, and Chief-of-Staff to a federal minister. He has also run his own consultancy companies in Australia, Beijing and across the Asia-Pacific. Greg writes and is interested in how to improve the operation model of parliamentary democracy. 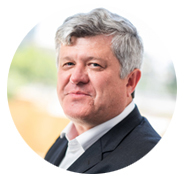 Peter has been the Chief Executive Officer of Cufa for 13 years. He has 18 years of professional experience in the international development sector, focusing in the Asia-Pacific region. He brings years of expertise in vocational training, gender, governance, employment, microfinance microenterprise and youth projects. 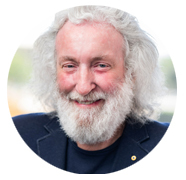 Peter also has appointments as a Director with TISA Community Finance Group and as a Committee Member at Swinburne University and Habitat for Humanity.